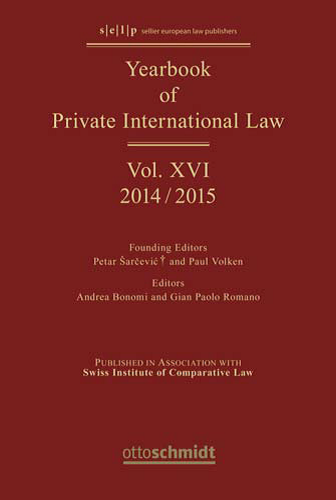 This year’s volume of the Yearbook of Private International Law is just about to be released. 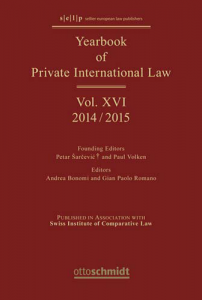 The Yearbook is edited by Professors Andrea Bonomi (Lausanne) and Gian Paolo Romano (Geneva) and published in association with the Swiss Institute of Comparative Law. This year’s edition is the first volume to be published by Otto Schmidt (Cologne), ISBN 978-3-504-08004-4. It is 588 pages strong and costs 189,00 €. For further information, please click here. The Revised Brussels I Regulation and Arbitration – A Missed Opportunity?